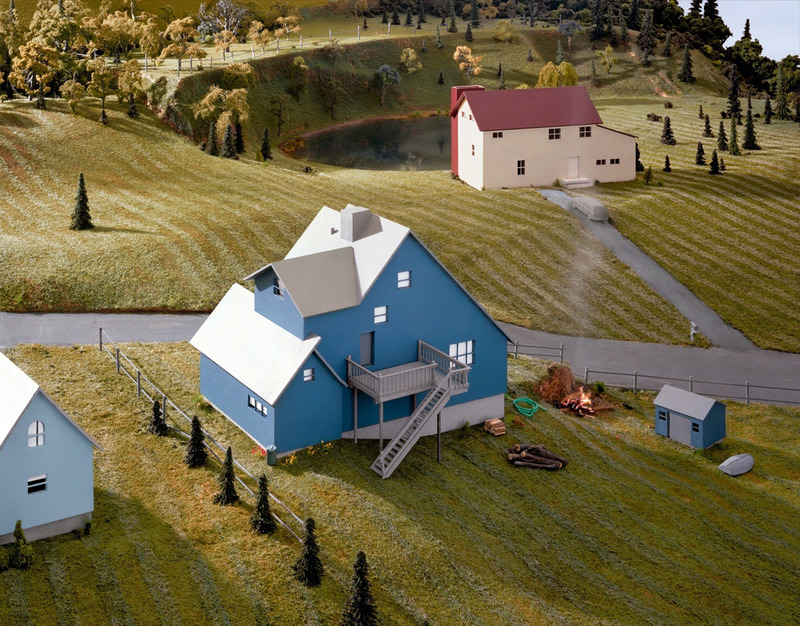 The photograph that accompanies this week’s Fiction, “Coming Soon,” by Steven Millhauser, is from the series “Landscape with Houses,” by the New York artist James Casebere (whom we posted about in 2011). At first, the picture appears to be of a well-groomed, suburban neighborhood, complete a with pastel sunset. But, in fact, it’s of a tiny model town, painstakingly built by hand, using plaster, wood, cardboard and, cheesecloth. Above is a slide show of Casebere’s work. All images courtesy of Sean Kelly, New York.